One of the main issues when it comes to e-scooters on the market right now is that they’re often not height adjustable! However, Partu has upped their electric scooter game with this new model and created something we have all be waiting for. Some may say it’s revolutionary and others may not agree to that extent, but we can’t believe the improvements and changes made to this model. 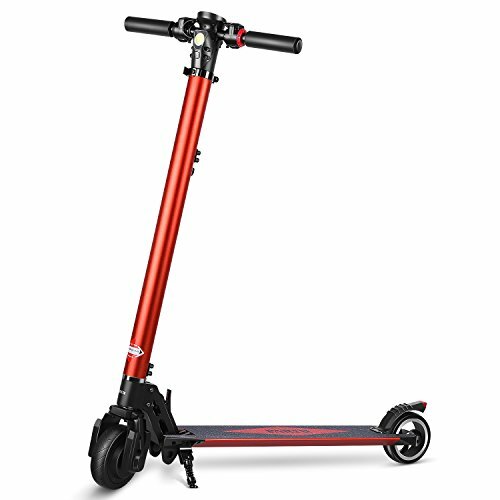 It’s an excellent, folding e-scooter that can reach speeds of up to 17mph and has an anti-skid deck giving users a great riding experience. If you’re worried about slipping and sliding in the wet weather, there is no need with this model as it has been rated one of the best to ride in wet and windy weather since it’s super waterproof (despite being fast, powerful and electric!). The braking system is another huge advantage as it’s simple and easy to use for anyone. The red pedal brakes while the black one accelerates, to keep your scooter from getting a damaged braking system, it will decelerate slowly rather than quickly depending on the harshness of your brake. Since it’s foldable, you can bet it’s a great addition on your travels too. It will fold down to the perfect size to transport it with ease, plus it’s lightweight – what a fantastic combination! It’s a lot more advanced than conventional motor technology which is something truly unique to the Partu brand. This model is an accurate reflection of how amazing e-scooters can be in the future and how far they have come in the past few years. 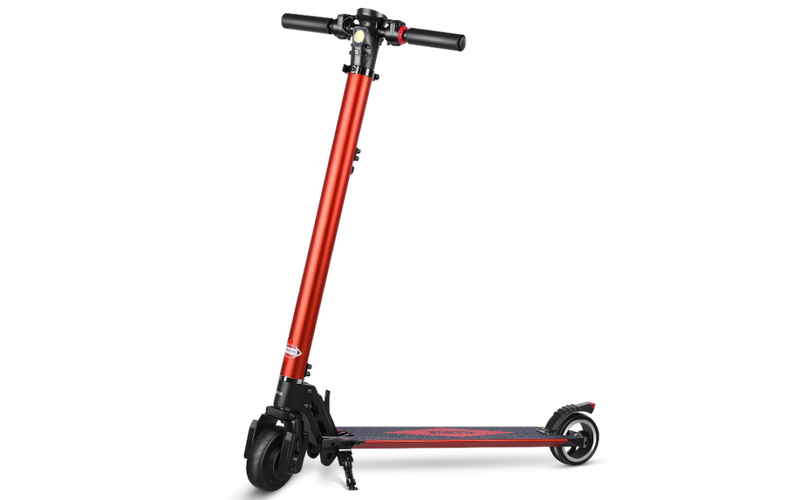 Unlike most electric scooters, this model has a bright red body color and a unique design. It’s foldable meaning you can take it wherever you want, and the body has some pretty neat features considering the affordable price of the model. There is a front headlight that can illuminate up to around 80 inches in distance meaning if you’re wanting to ride in the dark, there is no need to worry about not being visible to others. The body of the scooter is IP55 waterproof which means while you shouldn’t’ drive in heavy rain or deep-water depths if you get caught in the rain or snow in the winter, there is nothing to stress about. 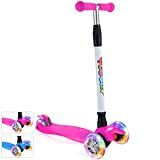 It is made from carbon steel meaning it can bare a heavier weight than other standard e-scooters and it’s rated highly for being durable and reliable in all weather conditions as well as still looking great years after purchase. There is a slight issue of rust if you do ride in the wetter weather and don’t dry your scooter correctly but if you aim to look after it and care for it, then you should be more than fine! The body of this scooter allows it to be practical and basic yet have all the necessary extras that we all want. It will enable the user to have a safe and sturdy ride no matter where they’re traveling since it features a gripping deck that previous customers have explained is amazing, a lot better than any other competitors. It is sure not to disappoint, no matter when you ride it. The LCD display screen is located on the front of the handlebars and is very helpful for those who like to keep their speed down and check the battery to ensure they have a sufficient amount of charge. Another advantage of this deck is that it is extra wide meaning even those with bigger feet can make the most of the scooter and have lots of fun. Unlike most other models of e-scooter, the handlebars on this Partu model are adjustable which is something they love to boast about! It can be adjusted from around 32 inches to just over 36 inches, this is a great feature as those who are a little taller than average often have trouble riding the e-scooters due to them being too small. If this problem applies to you, rejoice as this model will solve all your worries. Consisting of two outer rubber wheels that are steel on the inside, this model has a sturdy basis for some seriously fun and fast riding. 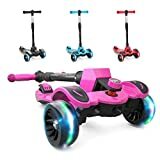 Since the wheels are supportive, you can smoothly ride any surface (even those that are a little bumpier than typical roads or pathways) without worrying that you’re going to damage the scooter or hurt yourself. Neither of the wheels has lights on them, but the front headlight is located just above the front wheel making it a good unit for riding in low light. Likewise to the body of the scooter, the wheels are waterproof, but we wouldn’t recommend riding in deep water as this can negatively affect the battery and motor which wouldn’t be covered by the warranty. Considering the extra features and lights on this model, you might expect it to be heavy. However, it is far from that! It’s lightweight and easy to transport wherever you wish. The heaviest aspect of the scooter is the battery which is located in the rack and handles of the scooter meaning the bottom of the deck has space to be free and thinner than usual e-scooter models. It weighs around 19 pounds while still being extremely strong and reliable which is a great aspect of the model. Despite having a fast speed and a fantastic ability to brake, this scooter is still the perfect size to fold if you wish but also keep it up and active in your garage or outhouse. The height ranges from 51.1 to 78.1 inches, this is typically smaller when in transit and longer when a taller rider is using it. Due to the high speeds of this scooter, the motor is larger than typical other models. This doesn’t add to the weight of the scooter, but it means you can have a more powerful model for the same weight and price. The maximum speed is around 25km in third gear (since the scooter operates on a three-gear tier system). However, this speed drops rapidly as the charge is lost so we would recommend you always ensure the scooter is charged when you’re going to be using it for a lengthy period of time. The battery capacity is 5200mAh with a charging time of around 3 hours. The nominal voltage is 24V with the input voltage just below 30V. However, the power comes in at 250V which is pretty impressive considering the price. The standard warranty with Partu is 24 months, the company-specific on their website and Amazon to contact them directly if there are any issues with the scooter. However, this warranty (similarly to other models) is limited. This means that user damage and error (such as with charging or crashing the scooter) means you are not covered. This is a standard procedure with most e-scooters and pieces of technology. Yet, if there is an issue with the motor, power or a manufacturing error with the scooter – you can send it back. There are multiple options available to someone who finds an issue with their scooter. You may wish to have an instant refund or get it repaired/replaced. This decision can often be made by the purchaser or is sometimes advised by Partu too depending on the damage. This Partu model is built with both teenagers and adults in mind, it’s fun and fast so it’s recommended that children under 13 shouldn’t ride on the scooter. As well as the age restriction, there is a weight restriction of 90kg (which is slightly less than average when it comes to e-scooter weight bearing). It is also recommended that vulnerable people (including those with previous heart conditions and those who are pregnant) should not use this e-scooter as it can be dangerous for their health. The weight restriction is in place as if the scooter gets damaged due to heavyweight, this is not covered by the warranty. Although you can still ride it if you’re over the weight, it’s not recommended due to issues that might occur. There are so many reasons why we love this model, you can’t expect us to choose just one or two! From its waterproof casing that allows the user to rise in any weather condition, to the bright red design that is perfect for anyone who loves to stand out from the crowd. It’s the perfect gift for anyone who loves technology and getting to their destination 3 times as quick as running. Plus, it’s affordable yet basic. The list of benefits and advantages of this model could go on forever so we would be best just leaving it at; it’s near enough one of the best waterproof models we have ever tried, and we would give it a super high rating!